Discussion in 'News and Features' started by Tom, Oct 3, 2018. The adaptive suspension in this refreshed hot hatch tend to feel a bit high strung in general urban driving. Sensation of bumps and dips are a touch more pronounced than expected as well, even in default comfort mode. It feels like it's ready-for-battle, but most of all, the new GTI is noticeably lighter and nimbler this time around. At the limit is where this firm chassis come alive. 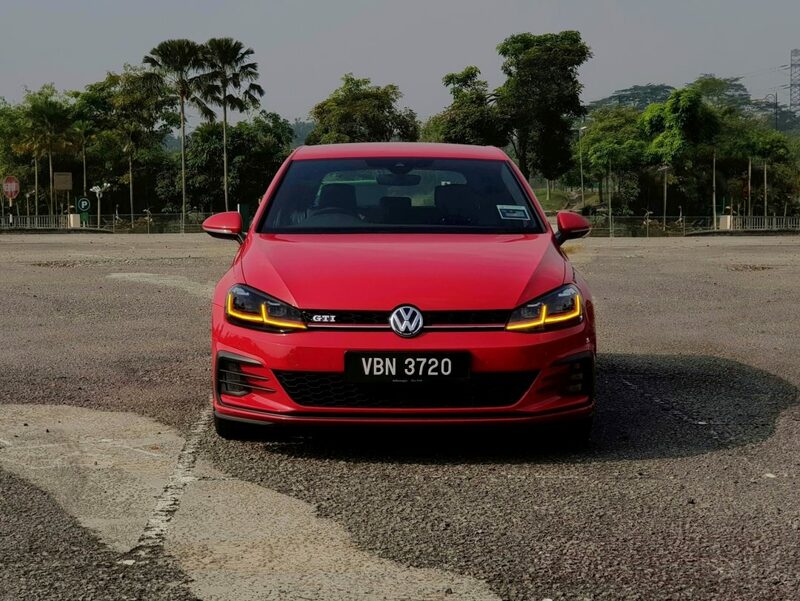 Genting Highlands can throw all of its twisted corners and undulating strips at it and the GTI remains flat and exceptionally planted for what it is. Even the huge bumps and dips are no match for its robust, adaptive shocks, as the new hatch sit perfectly the second it lands. One might think it's a given that electronic damping are the be-all-end-all of suspension systems but that is far from true. It's hard to nail the perfect ride when balancing between comfort and handling so not every manufacturer gets it right. In the new GTI, ride is just as plush as before, in the city, highway, anywhere. It is on the firm side by default, an underlying assurance of the talent that lies within. In Sport mode, the suspension goes into battle mode in an instant and delivers a confidence inspiring chassis, plenty of mechanical grip for what it is, a mainstream hot hatchback, with a bang, for buck? 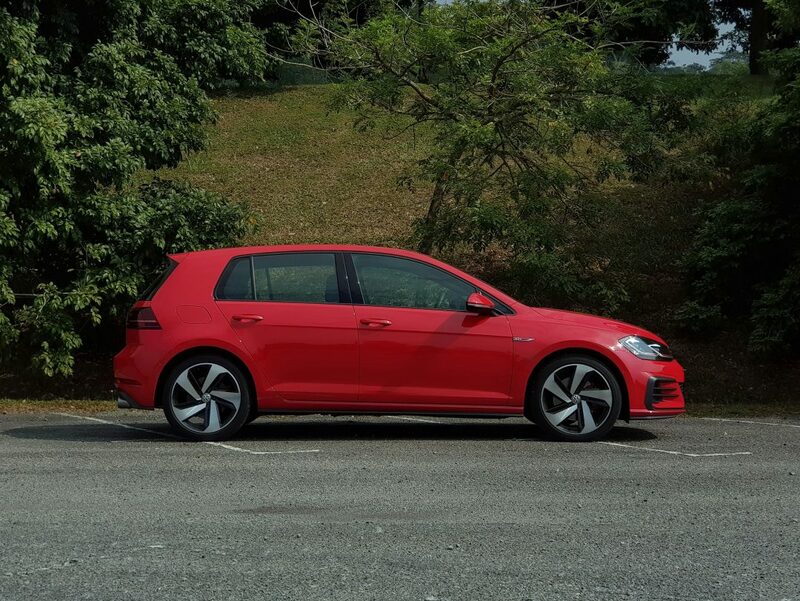 The thing is though, there isn't much difference here compared to previous MK7 GTI so while the MK7.5 GTI is mighty, one might find it difficult to differentiate the new and old GTI. Such relentless passion for corners were usually reserved for the hot hatch elites such as the Megane RS, AMG 45s or even its supposed Golf R sibling. But it looks like the GTI no longer want to be just another fast basic everyday hatch no more. It's since moved up the hot hatch hierarchy. Following through some of the continuous bends or hairpins, its XDS electronic limited slip differential filters out any possibility of understeer even with the throttle pedal floored. 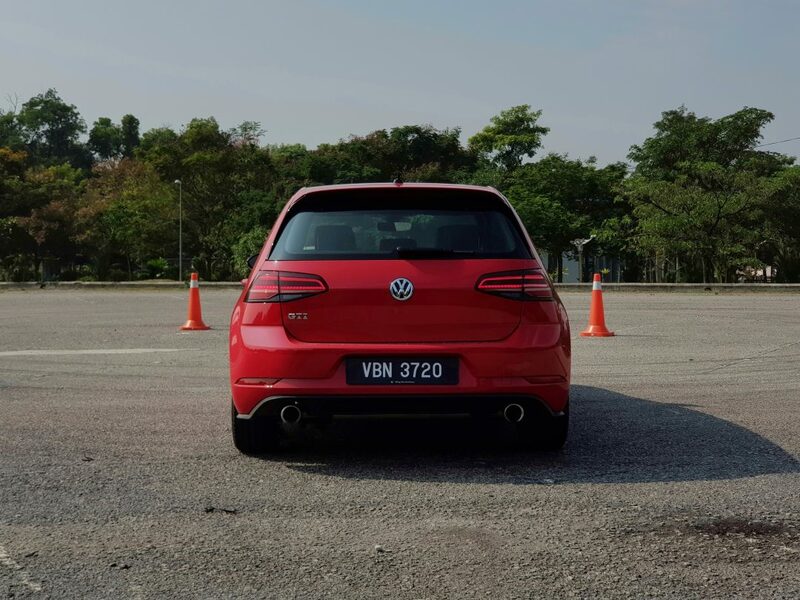 In mid corner whilst powering out of an exit, VW's XDS e-LSD system work in the background by cleverly applying calculated braking force on either side of the wheel to reduce understeer, while allowing the GTI to slingshot out of the corner with more throttle and less effort. 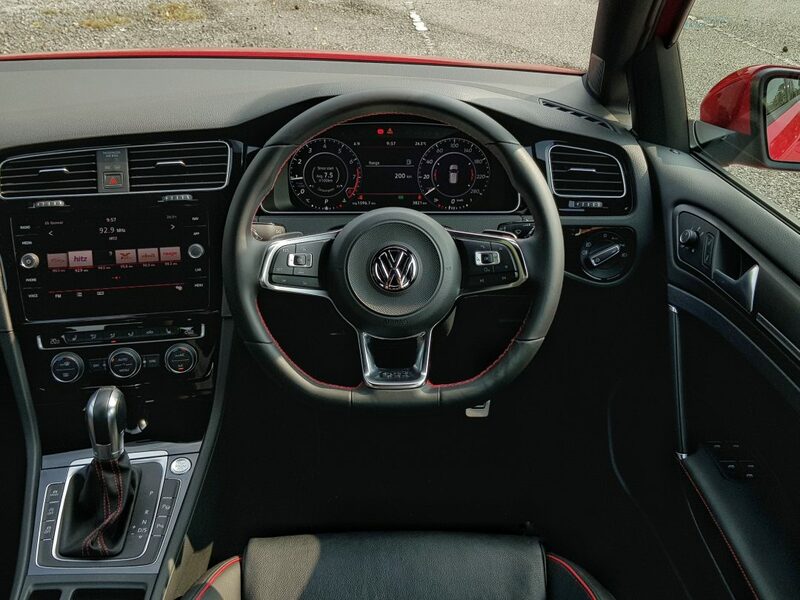 Steering is nice and is one of the more enjoyable aspects of the GTI. It is sharp and mostly quick, inducing a tinge of sportiness. Also because the wheel is variable-ratioed, it adapts and changes according to driving situations. VW's latest GTI has been sterilised and refined. 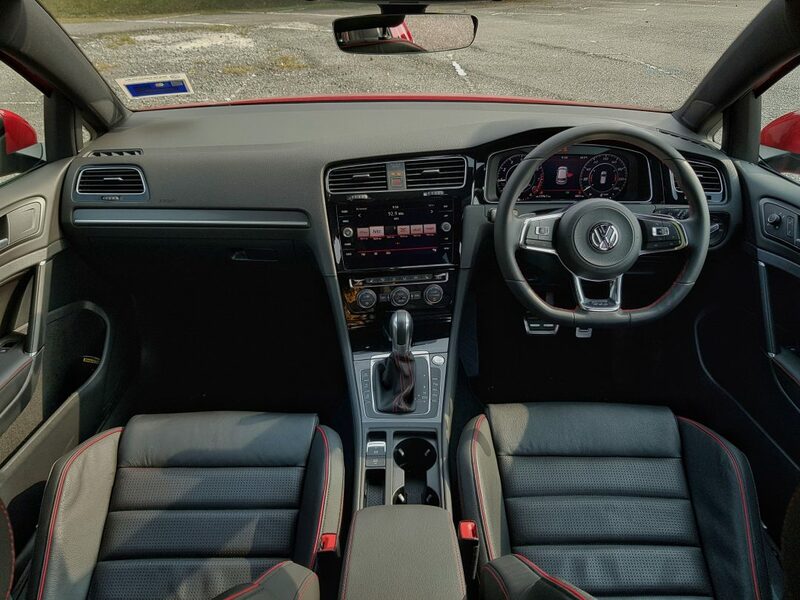 The urban "runabout" simplicity of its iconic MK5 brother, with its iconic paddle shifting DSG box was all the craze back then, followed by XDS and so on, they were all awesome gimmicks that had made the Golf GTI popular in the first place. Even so, all that tech can hardly contain the beastly hatch at the time, which was probably its selling point. But now, with the refinements made, all that torque steer is no more, so are its old boyish tyre screeching days. The new 7.5 GTI is the same grown up 7 GTI but a bit more mature, disciplined, has better finesse. Can I test drive her? Golf GTi is the benchmark. Sadly despite an update, the safety package offered in Malaysia is shamed by the Myvi full spec. Likewise with cars offered by all the German Marques here in Malaysia. This is still hot hatch. A45 is already hyper hatch class along with the RS3. ...Sadly despite an update, the safety package offered in Malaysia is shamed by the Myvi full spec. Likewise with cars offered by all the German Marques here in Malaysia. Really?? What's the safety rating of the GTI now? Other markets GTi comes with autonomous emergency braking. New gen of tech is not about crash safety, it’s about crash avoidance. nw111 and Tom like this. Toyota Malaysia not a single model have. I think Mercedes, BMW & Audi also don’t have.